The best way to get to the most beautiful and isolated towns and villages in Croatia is by car, and NÜ Car Rentals has great deals on car rental in Zagreb. The Croatian capital Zagreb is young and playful at heart, despite the almost thousand year-old history of its old town. By day, the city beats to the pulse of its thriving businesses, letting its hair down come sunset. And despite being a thoroughly modern metropolis, the locals welcome visitors with traditional Croatian hospitality. 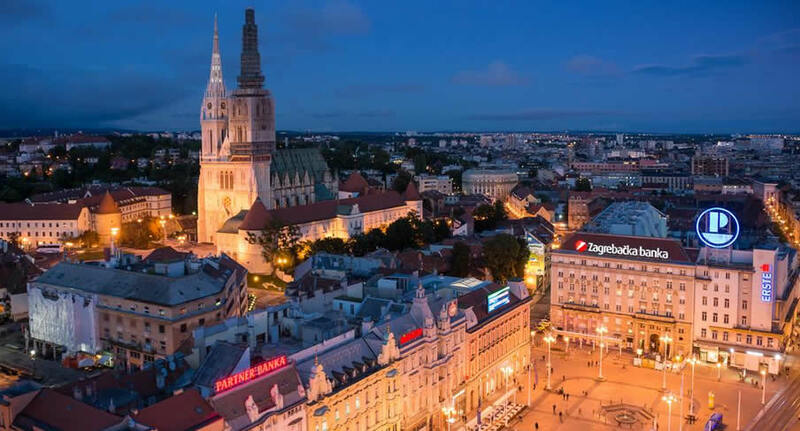 Zagreb’s old town is a true feast for your senses, where you can sample some of the country’s most renowned restaurants and coffee shops in the midst of classic façades, lush gardens and striking Neo-Gothic buildings. Don't miss your chance to enjoy this beautiful and friendly country. Get great deals on European car rentals - Car Hire with NÜ Car Rentals Company - Rental Car Agency. Book your NÜ Car Rental today! NÜ Car Rentals has great rates, exclusive discounts, and the cheapest deals to fit any budget. Next time you're visiting Zagreb, Croatia, take an us for a ride, and find the perfect rental car.